The Southwest Regional Cup kicks off this weekend in Norman, OK at Oklahoma Motorsports Complex. 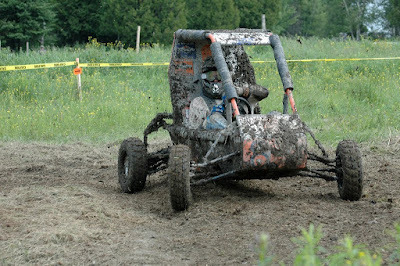 The SWRC is a 10 races series visiting 4 different tracks over 5 weekends in 2011. I'll be running in S2 Senior Stock Moto Shifter class for the full season. We have 8 pre-registered for Norman in S2 so far so hopefully the class will be 10+ on race day. I spent the last few nights prepping the kart and it is loaded up and ready to go. Ali and make the 6-hour trek to Norman tonight because there is open practice all day Friday with races on Saturday and Sunday. The weather is looking good so wish me luck for my first regional race in the shifter. I raced in the North Texas Karters Spring Series this past weekend. This was my first race on my new Spirit SP32 chassis and only my second time driving the new kart. Since my first drive was at Oklahoma Motorsports Park (a new track for me), I was looking at this weekend for a good comparison between the old and new chassis. Also, racing at a track I am familiar with would give the opportunity to do some tuning and try to improve the handling before the SWRC season starts next weekend. I started off at about the same pace as last Fall in the older Birel chassis, but was getting bad hopping on corner exit in the two left-hand hairpins which was hurting my lap times. 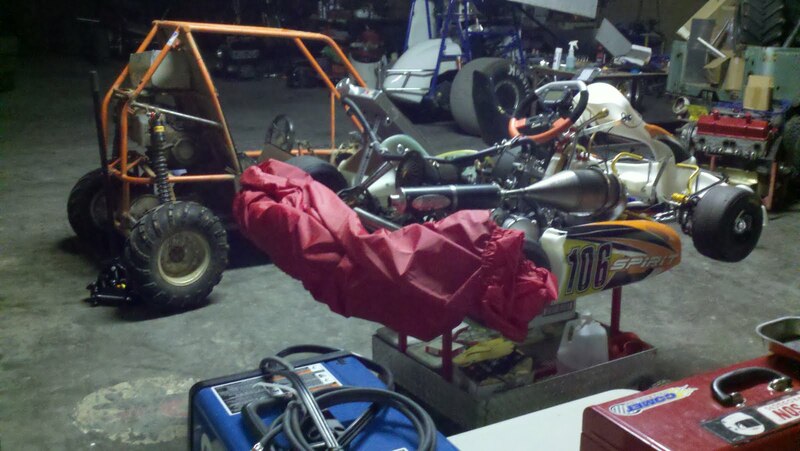 The kart has a very stiff axle in it right now, so this was not surprising. During the practice sessions, I adjusted the rear width to the max within the rules, removed seat struts, and adjusted tire pressures and it mostly cured the exit hopping which allowed me to pick up a few tenths. After the adjustment, the kart was not hopping, but was balanced towards understeer pretty much everywhere. I was racing on old MG tires from last season, so we will see where the balance is on new tires at OMC next weekend. In the end, I qualified on pole by 0.2s, won my heat race, and won the 12 lap feature race by 4s over P2. It was a small field of shifter karts, but a win is a win in my book. Overall, I was pleased with the race and had a good time. 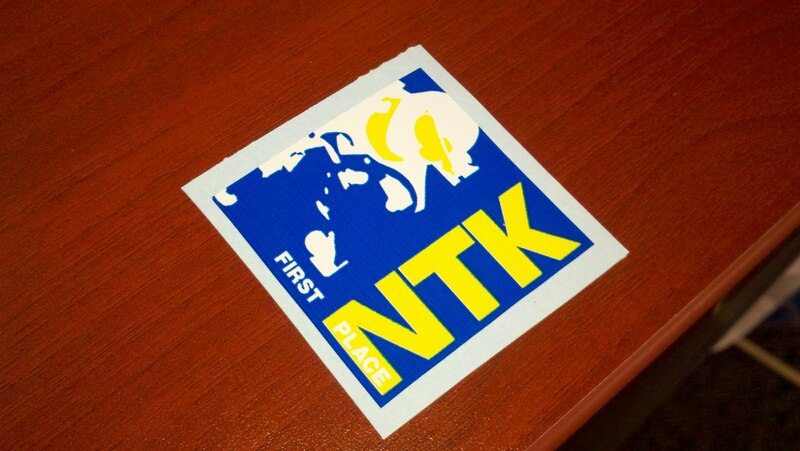 I set my personal best lap time around NTK by 0.3s and did not have any mechanical issues. Stuart and Joe were a big help throughout the day and I think I may have convinced them to start racing shifter karts.....we shall see on that one. 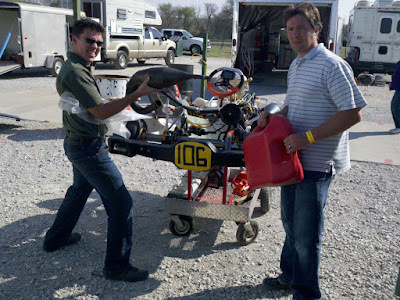 I am racing in the 125cc Stock Shifter class this weekend with the North Texas Karters (http://www.ntkarters.com/) in Denton, TX. The races start tomorrow afternoon with practice all morning. Not sure how many will be in my class, but this should be a good warmup for the Southwest Regional Cup that starts next weekend. 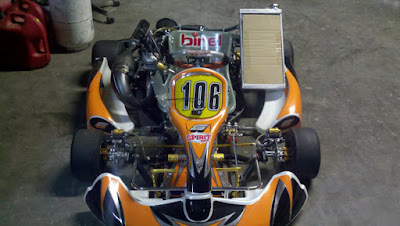 Also, it should give me some data on the pace of the new Spirit chassis vs. the Birel I raced at NTK last year. Hopefully, I can improve my personal fast time around NTK by a significant amount. Ali and I made the trek to Dallas after work today. 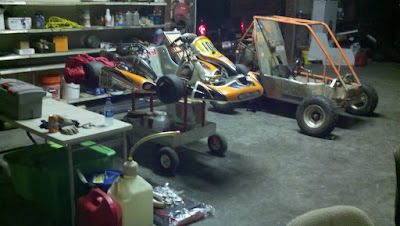 The kart is ready to go and the trailer is loaded so I'm pumped for my first race of 2011. I am officially moved out of my small single-car garage and am sharing a much bigger shop with 3 Sprint Car racers in San Angelo. The new shop will give me much more space to work on my shifter kart, rebuild the Baja car, and work on any other fab projects. Plus, I get along really well with the Sprint Car drivers and it's a much better work environment than wrenching by myself in my small garage. I'm still setting up my work area now, but the shop already has a fabrication area and plenty of shelving so it should work out well. 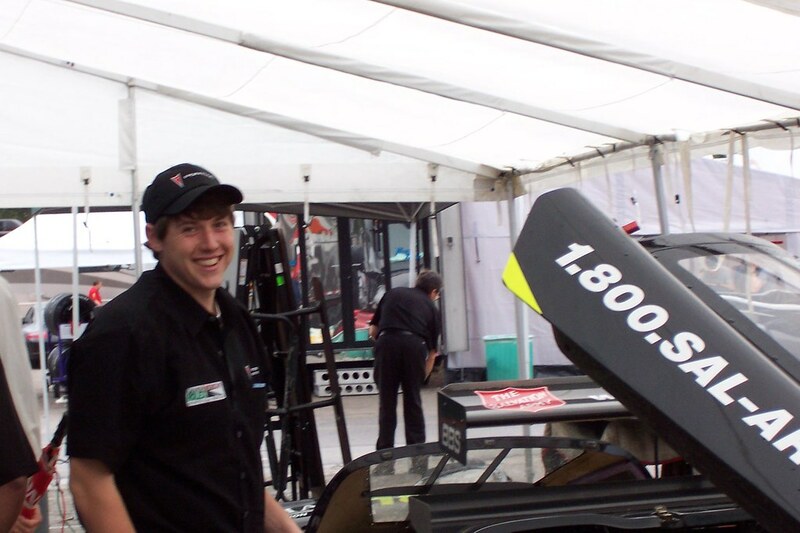 Since I graduated from UVa in 2008, I still keep in touch with some of the Baja team members and help the team whenever I can. 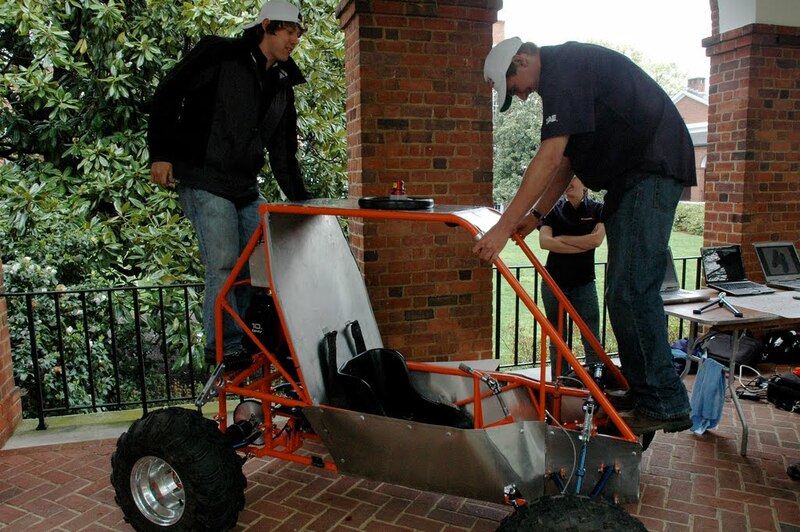 As the years have passed since I helped designed and build the 2008 Baja car affectionately named "Gnarly Garbage," the team's small shop has begun to fill up and they don't have room for all the cars that were built since the team was founded in 2004. I decided to give the team some help and take Gnarly Garbage off their hands. 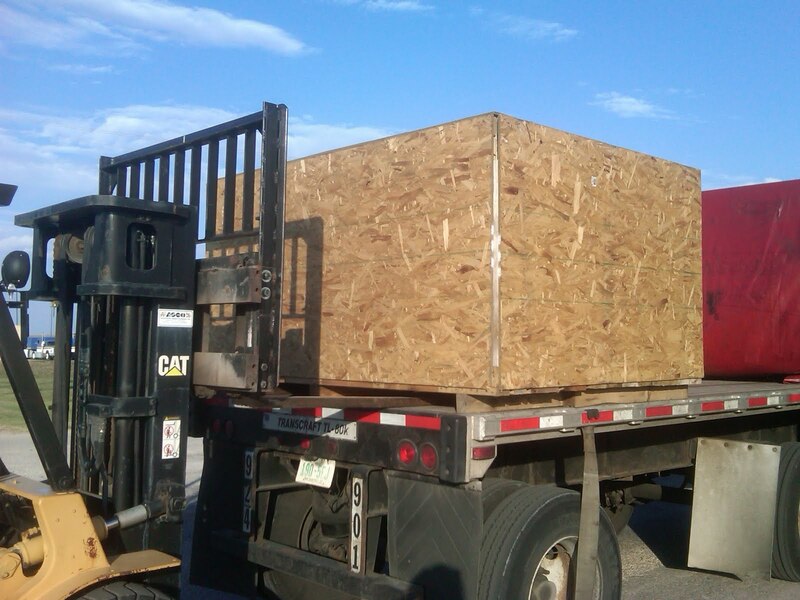 It arrived safely in this large crate and I now have a fun project to work on when not busy racing. It should be perfect for the off-road trails and sand dunes of West Texas....especially with a bigger engine. I just purchased a new steering wheel for iRacing from Fanatec and it is a massive improvement over the old Logitech Momo wheel I was using. The feedback and response is much more precise and linear with the new wheel allowing for quicker and much more consistent lap times. I've found that it is especially helpful on ovals where you need to be running inches from the outside wall to lay down quick lap times. Hand stitched leather wheel manufactured according to Porsche quality standards using original ALCANTARA® leather made in Italy. Additional 2 Force Feedback actuators in the wheel simulates motor vibrations. 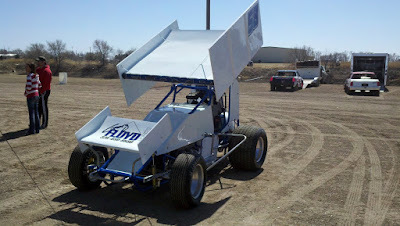 Last Saturday, I made the trek to Lady Luck Speedway in Lubbock, TX with Gary Floyd. Gary owns and races a winged Sprint Car in the 305ci (500hp) and the 360ci (750hp) classes at dirt tracks all over the Southwest. I've been helping him get his car prepped for the season and he was gracious enough to let me drive his car in two sessions this past Saturday. It was an unreal experience and was my first time for many things...first time on an oval track paved or dirt, first time driving any dirt track racecar, etc. Weighing in at only 1,550 lbs and packing 500 horsepower from it's Chevy V8, the acceleration is wicked and carrying large yaw angles through the corners was ridiculous fun. The seating position in a Sprint Car was very different as you are seated like in a regular table chair instead of reclined like most racecars and the throttle operates basically straight down instead of at an angle. Each session was a about 5-8 laps (at 14s per lap this goes by very quick) so it was a difficult to get a feel for such a different racecar in such a short amount of time, but I was able to improve drastically from Lap 1 to Lap 10. Overall the test was success. Gary shook the car down, I got to experience a new form of racing, and we all made it back in one piece without having to write big checks. Thanks to Gary Floyd for letting me hustle his toy around! 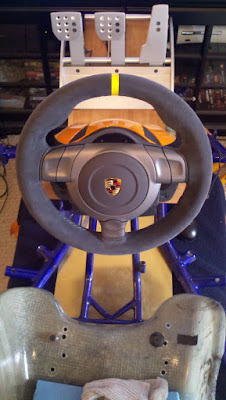 In this video, I make a pass, avoid the dive bomb, re-pass...indoor karting is good fun.